Want to trade in the West Coast for the East Coast but still want to experience the magical world of Disney? Well look no further, Orlando is the place for you! Here is an insight into some of the endless opportunities that you can choose from when touring Orlando with us, or better yet, why not choose them all? 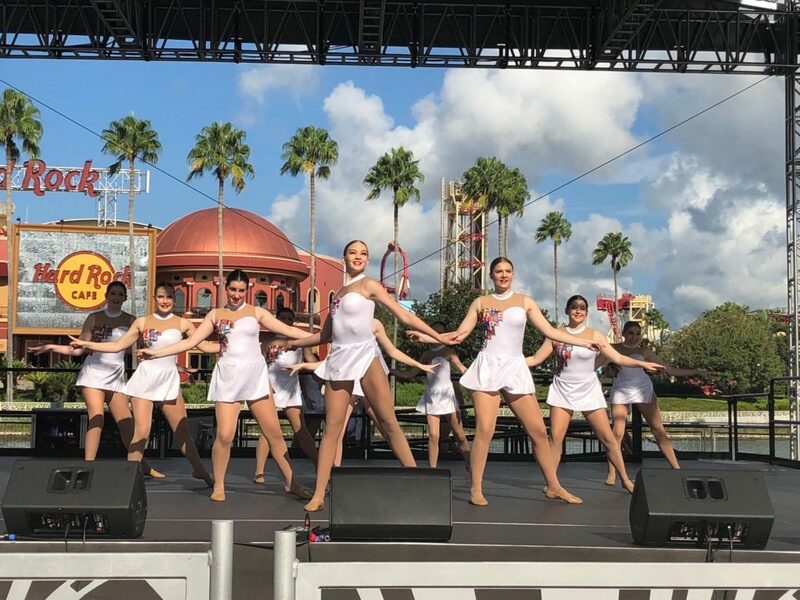 Perform in Walt Disney World – A performance opportunity with a view! Allow your studio to shine on the Marketplace Stage in Walt Disney World, which backs onto the beautiful Lake Buena Vista! A stage purpose built for Disney Performing Arts. Disney Performing Arts Workshop – experience the life of a professional Disney Dancer in a fun, upbeat and positive atmosphere. Character Breakfast – eat breakfast alongside Disney’s favourite characters. Take some pictures with your favourite Disney Princess or get Mickey Mouses’ autograph! Spend the rest of the day walking the streets of Walt Disney World and see how many rides you can tick off your list. Visit all four Disney Theme Parks situated within Disney World- Magic Kingdom, Disney’s Hollywood Studios, Disney’s Animal Kingdom and EPCOT. Performance at Universal Studios – A dance performance at Universal Studios City Walk located between Universal’s 2 Theme Parks. Dance workshops also available! A visit to Kennedy Space Centre – a must see attraction when staying in Florida. Gain visitor access to the historic birthplace of American spaceflight and view artifacts of NASA’s Mercury, Gemini, Apollo and Space Shuttle Programs in the context of exhibits and attractions that tell the NASA story. Experience an authentic American Sporting Event. Add a New York extension for the ultimate experience! Sail the seas with a 4-night Bahamas Cruise for the ultimate relaxation at the end of your trip and perform on the Ship! Next PostNext Anaheim Dance Tours!